Enclave Village Condominiums are located at 642 N 200 E Provo, UT 84606. 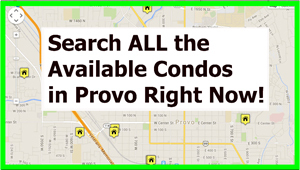 Enclave Village Condos – Provo UT are BYU approved for Male & Female. Please contact BYU to verify the current status. Enclave Village Condos were built in 1985 and have 36 units. These condos are FHA approved. The earliest sold data on an Enclave Village Condo was in January of 1996. One of the Enclave Village Condos sold for $60,000. What a great price and investment. The latest sold condo at Enclave Village Condos sold for $210,000 in September of 2012. Call Paul Teasdale directly if you would like a FREE 15 page report on the most recent sold condos after September of 2012. The highest price an Enclave Village Condo has sold for was $215,000 as of October 2012. The prices moved from 2000-2005 from $165k to $195k. Then from 2005 to 2012 they slowly moved up over $200k . The prices have more than tripled over the past 15 years. This is a better return that the average stock in the DOW. Condos this close to BYU tend to hold a very strong value. Keep in mind rents have continued to climb over the years. Paul Teasdale has been selling condos around BYU since 1995. In fact, Paul lived at the Enclave Village Condos when he was attending BYU. Paul is very familiar with these condos. The nice thing about these condos is that they are within walking distance to BYU. 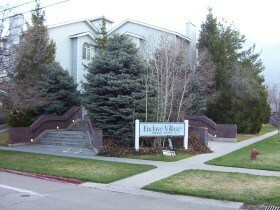 The Enclave Village Condos are approximately 1.5 Blocks from BYU Campus. If you are interested in Selling a Enclave Village Condo – Provo UT contact Paul Teasdale. If you are interested in Buying a Enclave Village Condo – Provo UT contact Paul Teasdale.